You’ve gotten through all of the tough stuff successfully – the negotiation, the inspection, and the appraisal. Now there’s just one final step to complete before you can move into your new home – it’s closing time, baby! Now, if you’re a first-time buyer this process might be pretty unfamiliar so we’ve put together a few of the most common questions & answers so you can arrive at the closing feeling in-the-know. Here ‘goes! Closings are usually held at the offices of the seller’s title company. In general, you can expect the cast of characters to include: your real estate agent, the seller, the seller’s real estate agent, a representative from your mortgage lender, a notary public, the title agent, any attorneys hired by you or seller, and you. What will happen at the closing? Provide and sign-off on all insurance and appraisal paperwork. Arrange your escrow account for your property taxes and insurance. Hand over a cashier’s check for your down payment (if not previously transferred via wire). Review and sign-off on all of your loan documents. If anything seems strange or amiss with any of your paperwork, now is the time to mention it. Do not sign off on any incorrect documents. It’s better to have them corrected, even if this means delaying the closing until another day. If you have any questions or concerns along the way, don’t be afraid to consult with your attorney or real estate agent. They’ve got your back! 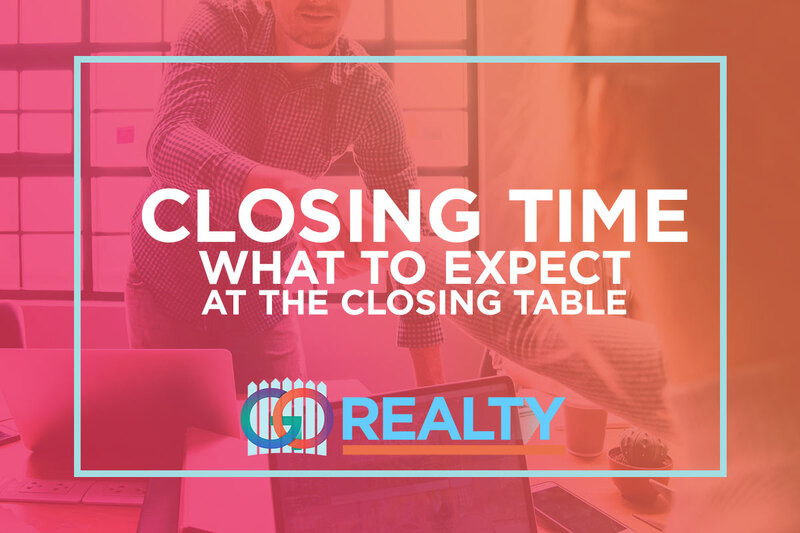 How long will the closing process take? Did we mention that there’d be paperwork involved? There is. A steady and seemingly unending stream of pages will flow, like a plodding river of Silly Putty, into your hands over the next couple of hours. With aching fingers, you’ll inscribe your signature so many times that it will begin to look strange to you. Hey, it might not be that bad – but you should definitely expect to be at the title office for at least a few hours. Being prepared ahead of time will speed things up a little. Sounds… amazing! What happens next? The reward for your time today: the seller will hand over the keys to the property! Congratulations! You officially get to call this house your NEW HOME! Crack a bottle of champagne. It’s time to celebrate! Talk to a GO Realty agent if you have more questions about the closing process. In the meantime, brush up on writing your signature.